If there is one great thing to be said about The Fighter, it is that it proves that formula can be done well. Here is a story that has been told numerous times in various fashions yet feels fresh due to its acting and its raw emotion. Many sports dramas fail to engage me on any level because they tend to ride the same ebbs and flows. The Fighter goes through the same motions, yet does so with conviction and passion. It’s a familiar structure that’s reinforced by the power of its performers. 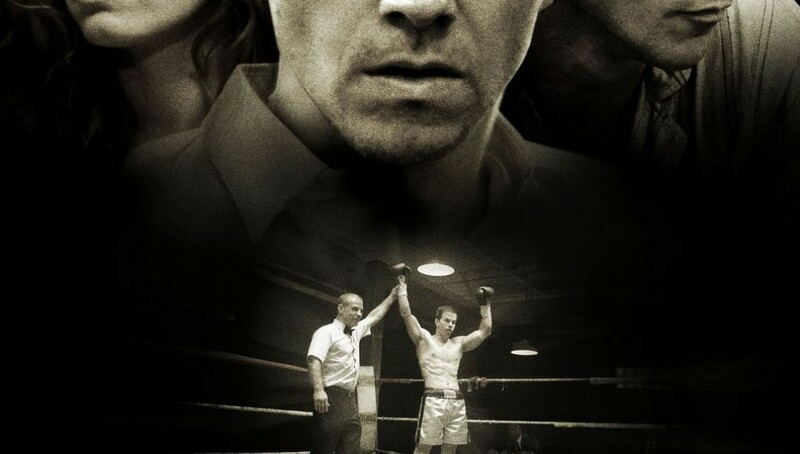 The film follows the tumultuous early career of welterweight boxing champion Micky Ward (Mark Wahlberg) and the mismanagement of his career by an overzealous mother (Melissa Leo) and his crack-addicted brother Dicky (Christian Bale). Driven by Dicky’s past success as a boxer, Micky’s career can only be viewed as a stepping stone; a pet project for his family to nurture in order to recover Dicky’s past fame. After a disastrous loss, Micky begins to doubt his future as a fighter until he meets Charlene (Amy Adams), a college dropout who works as a bartender to make ends meet. Their blossoming romance leads Micky to reconsider his family’s involvement in his career, and he must decide what’s more important: his personal success or the ties of his family. The Fighter is, at its core, a story about blue collar dreamers stuck in a dead end world. Most of the characters in the film have aspirations of making it big, but rely on “local heroes” to bring purpose to their lives. Dicky’s success could only be seen as a fluke. Garnering instant fame from his win against Sugar Ray Leonard, something led him to come back home and turn to drugs. Was it the pressure of being a star or the weight of his mother that led him to the pipe? The film never answers this question or even asks it, but it doesn’t have to. This is Micky’s story through and through, though it could’ve been Dicky’s and I wouldn’t have minded. Micky’s story is basically that of Cinderella, complete with an evil stepmother (his real mother) and ugly stepsisters (cobbled together from past courtships). Charlene is his dashing prince, and after Dicky is taken to jail after some disorderly conduct (impersonating a cop, no less), his new manager becomes his fairy godmother, setting him up with a good trainer and opening up doors that lead him to a championship bout. What I mean to say is that every character in the film is an archetype, but The Fighter sidesteps this potentially damaging structure is in the weight of its performers. This is an actor’s showcase, and every one brings a certain life to their character. Wahlberg is good as Micky, but his understated acting is sure to be overlooked by many in favor of Bale or Leo. I find that to be the power of Wahlberg’s performance. Micky isn’t able to get a say in most of the time; he’s working to survive rather than to act out. His only way of getting attention is through his fighting, and Wahlberg can do that in spades. I really enjoyed him here. Leo and Adams are great as the strong-willed women in Micky’s life. Leo has made a career of playing these types of roles, but Adams is the surprising winner here. She makes Charlene (dare I say it) lovable while embracing her foul-mouthed and rough façade. I knew that Adams could do quirky and cute, but here she truly expands her capabilities and delivers an amazing performance. Bale has been known to transform himself for roles in the past (nearly killing himself in 2004 for The Machinist), but here he completely embodies the role of Dicky Eklund. Not since Requiem for a Dream have I seen a portrayal of drug addiction so convincing on film. After viewing The Fighter, I was able to watch the HBO Documentary that is being made within the film (entitled High on Crack Street) and Bale matches Eklund move for move and word for word. It is uncanny how good Bale is here, not only in his physical portrayal, but also in his emotional weight. Shedding the stark intensity that has gone to define his past few roles, Bale seems to actually be having fun playing Dicky, and come Awards time, Bale is sure to be nominated for Best Supporting Actor. It’s a transformative performance, not only in physicality but in spirit as well. Bale is Dicky Eklund, and this is his year to win the Oscar. One other thing that sets The Fighter apart is in the way director David O Russell shoots his fight sequences. Utilizing the cameras and crew from the 1990’s HBO boxing matches (Wahlberg throwing his weight around to be sure), Russell lets us watch the bouts as if we were watching them from home. It’s effective to be sure, as I even caught myself getting lost in the scenes, but at points the technique becomes a little jarring. Whenever Russell places the action objectively, the gritty digital image works well, but when he uses it for narrative moments (as in Dicky prepping Micky in the ring), the effect becomes a little more distracting. Despite this, it’s a unique way of presenting the action, and I found it great enough to worth noting. I know a lot has been made here about the plot of The Fighter, but it is not a film that requires a strong plot to succeed. Sports dramas have been done so many times that they have pretty much devolved into formula, with the only variation being the type of sport being shown. The last truly effective sports film was Friday Night Lights because it sidestepped formulaic developments and focused solely on character and tension. 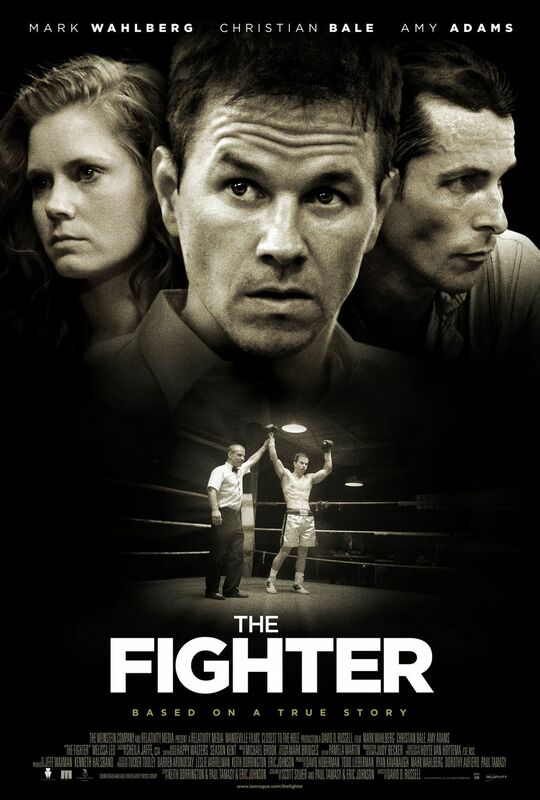 The Fighter does not sidestep formula, but its intensity and performances make you forgive the fact that you are watching the same movie all over again. I enjoyed the film, not for its developments, but for its passion and intensity. It is an actors showcase, and on those grounds, The Fighter is a great film. NOTE: See the HBO Documentary High on Crack Street. It is a great documentary about the power of drug addiction, and viewing it will give you a better appreciation for Bale’s work here.